– Knowing your precise location. – Choosing the right direction to reach a specific place. 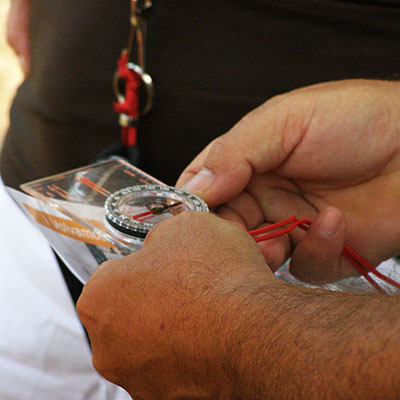 Orienteering can be learned since it’s based on the application of different techniques using natural signs (sun, stars, vegetation) and artificial elements (map, compass, etc.). With the help of a map and compass we therefore create a walking route that takes participants to hidden locations indicated by 6 to 8 markers (depending on the time available), each of them clearly marked on the map. All participants must stamp their control cards every time they reach one of the markers, to prove they have been there.